The project involved constructing a new 260-foot long, high-level passenger platform and egress stair tower finished with new decking, decorative railings and ornamental metal fencing. Within the station, areas were renovated to house new electrical and communications rooms. 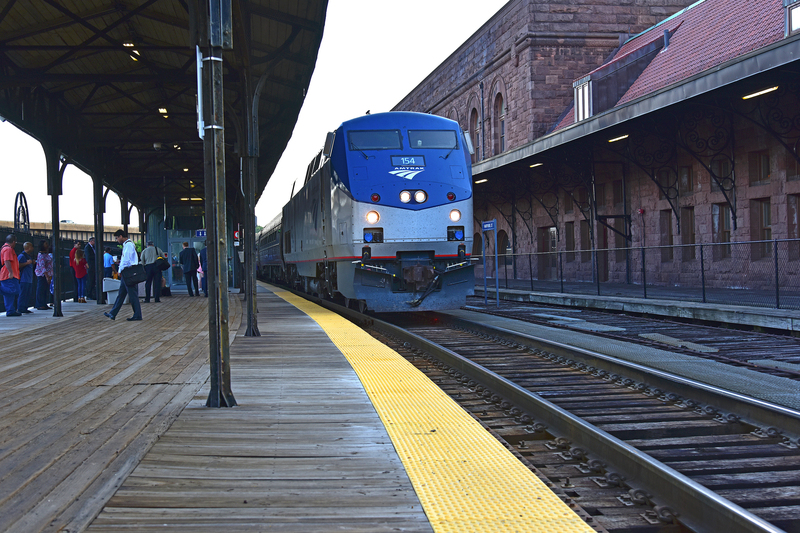 There were also significant upgrades to improve the customer experience including new exterior lighting, signage, public address and passenger information display systems. Security upgrades includes emergency lighting and call boxes, video surveillance, fire alarms and bird control devices. O&G recently completed several Greater Hartford area building construction projects including a new entrance at the historic Cathedral of Saint Joseph in Hartford, the new admissions building at Miss Porters School, an interior renovation at the St. Francis Hospital’s Comprehensive Women’s Health Center and the CREC Academy of Aerospace and Engineering in Windsor.